Unique french pottery adorns the outdoor shelves of store in the village of Gourdon, Alpes Maritimes, Provence, France. 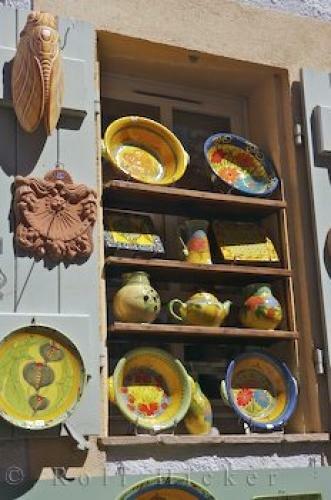 Pottery store in the village of Gourdon, Alpes Maritimes, Provence, France, Europe. at a store in Gourdon, Provence, France.